"A LIFE-CHANGING experience.� This is how Frenchman Hubert d�Aboville described the annual Malasimbo Music and Arts Festival in Puerto Galera, Oriental Mindoro. He is co-founder and president of the well-known extravaganza, which is slated from February 27 to March 3 this year. Why so? Because the festival�for those who have yet to discover it�is most unique in the Philippines for infusing music, the arts, the ways of indigenous peoples and love for the environment at the Malasimbo Mountain from which it is named. Only on its fourth year, the Malasimbo Music and Arts Festival has already gathered a strong following from both local and international audiences, making its 2014 outing a highly-anticipated event. This is how Frenchman Hubert d�Aboville described the annual Malasimbo Music and Arts Festival in Puerto Galera, Oriental Mindoro. He is co-founder and president of the well-known extravaganza, which is slated from February 27 to March 3 this year. Why so? Because the festival�for those who have yet to discover it�is most unique in the Philippines for infusing music, the arts, the ways of indigenous peoples and love for the environment at the Malasimbo Mountain from which it is named. Only on its fourth year, the Malasimbo Music and Arts Festival has already gathered a strong following from both local and international audiences, making its 2014 outing a highly-anticipated event. The beginnings of Malasimbo can be traced as early as 1981 when d�Aboville, then a young backpacker from Europe, first discovered the virgin island of Puerto Galera. Moved by the beauty of its mountains, the traveler fell in love with the site at that very moment. �That was in April 1981. I remember it very, very well,� the Frenchman told The Sunday Times Magazine in an exclusive interview at the Paris Manila Technology Corp. offices, a power distribution company that he eventually established in 1988. �I first arrived here in [the Philippines] in 1977 and I came back in March 1981 to become a businessman. One month after, I went to Puerto Galera with a friend of mine, discovered the place, and fell in love,� he continued. That same year, d�Aboville found love again when he met his Filipino wife, Araceli Valenzuela, with whom he built a family and a home in his special place. �When my wife and I got married in 1982, we wanted to have four children and plant seeds for them. We needed soil, earth. Naturally, we chose Puerto Galera and we built our home there. I invested all my savings in a small property that got bigger and bigger,� d�Aboville related. Eager to show the world the beauty of his beloved home for many years, he agreed to an idea from Croation Miro Grgic, a sound engineer and president of Volume Unit Entertainment Inc., to organize a music and arts festival on the island. The year was 2010, and no one had done anything like it before. Malasimbo was organized by Volume Unit Entertainment and the d�Aboville Foundation, and was conceived out of a love for music and for Puerto Galera, where the festival is held. With energy and enthusiasm, d�Aboville rushed to Puerto Galera Mayor Hubert Dolor to see how the festival can be done. �I asked Hubert, my good friend and katukayo, �I�m sharing this idea from Miro, who happens to be my daughter�s boyfriend, to mount a festival with 1,000 to 2,000 people? Where can we have it? Give me three places in the vicinity of Puerto Galera where we can organize it�,� he recounted. The mayor said he would look into it but when d�Aboville took a brief trip to France, he was disappointed to return to the verdict that there was no site to accommodate 2,000 in the municipality. �Miro and I were very disappointed. We thought that was it�the original idea did not push through,� d�Aboville continued. Bringing the good news to Malasimbo co-founder Grgic, they began preparations with only seven weeks left to their chosen date. �We had a lot of work to do, prepare the road, carve out the terraces [for the natural amphitheater], and so on. By Christmas Day, all my family was there and they told me it was impossible to finish everything before February 17, and that we had no choice but to cancel,� d�Aboville recalled. And so on February 18 and 19, 2011, d�Aboville and Grgic�with the help of their family and friends�successfully mounted the very first Malasimbo Music and Arts Festival from February 18 to 19, with an impressive 1,500 attendees. The debut featured art installations from local artists, the Mangyan tribe and their culture, and world-class concerts from both local and international acts, with the majestic backdrop of Mother Nature at her best. The Malasimbo Festival comprised of what d�Aboville calls �the four pillars.� These are music, the arts, indigenous people (IP) and the environment, which are all very close to his heart. Last but not the least, d�Aboville, is in charge of preserving the beauty of Mount Malasimbo. In the last four years, these principal organizers of Malasimbo devotedly nurture and propagate their advocacies, and in fact have also been recognized for them. For example, in December 2013, Grgic was invited to talk about the Philippine festival at the Electronic Music Conference in Sydney, Australia. As for the arts, d�Aboville shared that her daughter Olivia tries to discover more local artists every year to fill up the open fields with their work. �I want to dedicate five hectares in the middle of nowhere to receive the artworks of Filipinos. Every year, we�ll have more and more art works and installations to be left there. Year after year, the art multiplies. In three to five years, it will become an open museum,� he enthused. D�Aboville added that Malasimbo exhibits two types of artwork, one that is natural and vanishes through time, and the artificial kind that lasts longer. Citing the indigenous people element, he went on to talk about the Mangyan houses that were built in 2012, an now stand as a community for the Iraya Mangyans and Hanunuo Mangyans, as well as South Cotabato�s T�Boli. There, the tribes are able to interact with guests by presenting their local dances, showcasing their unique artifacts, selling their handicrafts, as well as holding weaving workshops. A true guardian of the environment, d�Aboville refrains from promoting the festival with the use of tarpaulins or any other kind of marketing materials that would classify as visual pollution. He keeps the mountain grounds in its purest form, and also supports the provincial government of Oriental Mindoro in its environmental projects. In fact, festival proceeds were used for tree-planting and mangrove reforestation in 2011 and 2012, respectively; and in 2013, the festival took part in the celebration of Earth Day in April with another tree-planting initiative. This year, through the d�Aboville Foundation, Malasimbo will participate in the protection of the tamarraw, a critically-endangered species endemic to Oriental Mindoro. When the very first Malasimbo concluded in February 2011, founders d�Aboville and Grgic were floored by the response of 1,500 festival visitors over the course of the weekend. Year after year, they are even more amazed with figures that continue to double. �Indeed, the first festival was very successful and so were the second and third. In 2012, we had 3,000 people, and in 2013, 6,000 in the two-day festivities,� exclaimed d�Aboville. He explained that he has to impose a �limit� to Malasimbo. If ever Malasmibo continues to attract figures over d�Aboville�s estimates, he may consider opening a second stage. The success of Malasimbo is even more evident especially now that the festival has turned into a five-day affair. �Normally, the festival runs on Friday, Saturday and Sunday. We added one day before and one day after to make it cheaper for people who cannot afford to buy a P2,000 or P3,000 ticket,� d�Aboville explained. He continued, �Even though they do not see Jimmy Cliff [Jamaican musician who topbilled] in 2013 [concert]. d�Aboville sees ticket prices going down to P500 for the first and last days. The five-day festival this year will be test of sorts for d�Aboville to decide on whether the concept is feasible for them and attractive to the festival�s patrons. As for the solo musicians and bands slated to perform at the upcoming Malasimbo 2014, the initial list on the official website (www.malasimbofestival.com) includes Jose Gonzalez, Robert Glasper Experiment, Roy Ayers & Lonnie Liston Smith, Mad Professor, Osunlade, Omar, Greg Wilson, Mark De Clive-Lowe, Low Leaf, June Marieezy, Jordan Rakei and Heavy Boogie. The main international acts set to headline Malasimbo 2014 have yet to be announced on January 16 at the festival�s official media launch. In the past foreign acts who topbilled the festival were reggae legends Joe Bataan in 2012 and Jimmy Cliff in 2013. Soul siren Joss Stone, meanwhile, sold out the 2013 festival. �We are making our own dreams come to a reality. We are not in the mold of this industry�s players. We have some knowledge, but more than that, we have the drive, we have the dream. This is what is pushing us to do it,� d�Aboville concluded. The Malasimbo Music and Arts Festival will run from from February 27 to March 3 at Puerto Galera, Oriental Mindoro. It is presented by Volume Unit Entertainment Inc. and the d�Aboville Foundation with the Department of Tourism and Visa as major sponsors. It is also supported by Ticketworld, Sofitel Philippine Plaza Manila, Ticketworld, Shell, Royal Cargo, Lafarge, and Stagecraft International, among others, with The Manila Times is an official media partner. Festival returns for 2014 for a spectacular fourth magical adventure outing from 27thFebruary � 3rd March in the jaw-dropping setting of Mount Malasimbo in Puerto Galera nestled in the beautiful islands of the Philippines coast. Festivals don�t get anymore heavenly than this. The dreamy location is worth the trip alone but that�s only the sun soaked tip of it, this year�s music line up is literally a musical luscious landscape of the best worldwide music talent on offer. With the festivals ethos deriving from its immediate grass roots, Malasimbo strongly prioritizes its stunning surrounding nature, environment, local music and arts culture and of course their infamous hedonistic good times vibe. Jazz artist Mishka Adams and house music DJ Erwin Edralin are two more local talents confirmed to participate in the fourth edition of Malasimbo Music & Arts Festival next month, says festival director DJ Miro Grgic. They will be sharing the stage with legends Roy Ayers and Lonnie Liston Smith, as well as widely known and respected musicians Jos� Gonzalez and Mad Professor. This year's festival brings something for every taste, from emerging and new talent, legendary vocalists, jazz, funk, soul, dance fusion and crossover artists and not to mention sound system culture, which all fit in alongside the best local and indigenous talent, arts, boat parties, workshops and immersive local activities (see below). With the likes of unmistakable vocal and instrumental talents such as indie folk singer-songwriter and guitarist Jose Gonzalez, soul-jazz fusion pioneers Roy Ayers and Lonnie Liston Smith, pioneer of spiritual jazz and jazz funk genres, legendary UK vocalist and now M.B.E Omar and the exceptional 2013 Grammy award winners Robert Glasper Experiment. Bringing the big party road blocking beats is probably one of the most spiritual men in deep house US produce and solo artist Osunlade, the twisted musical mash up showman, Mad Professor, legendary disco and party good times ambassador, Greg Wilson, the finest party purveyors,Heavy Boogie who bring their own recipe for sunshine, moonlight, good times to the party. Other artists announced so far also include Mark De Cliv�Lowe, Low Leaf, June Marieezy and Jordan Rakei who will be taking to the stage to bring yet more island party magic under the sun and stars. In partnership with the Department of Environment & Natural Resources and department of tourism Malasimbo Music and Arts Festival works hard each year to protect and preserve the natural environment. Reforestation initiatives have been funded by festival proceeds in 2011, planted 1000 trees 2012, the festival supported the reforestation of mangroves in Puerto Galera. 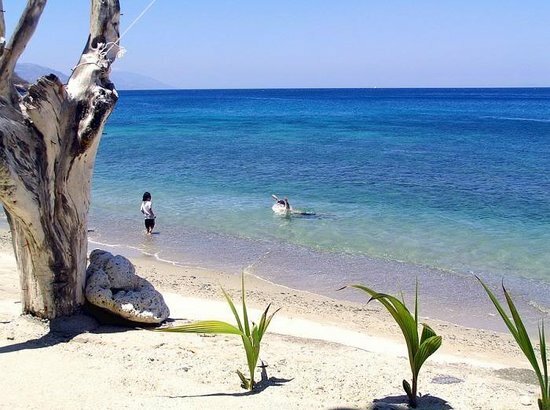 For 2013 Malasimbo undertook a massive beach clean up with their festival partner �Most Beautiful Bays In The World Club� making the Puerto Galera area plastic free. Promoting nature, Filipino tribal culture and ethnic arts is the cornerstone of the festival ethos, with projects for the development of the local community such as reforestation efforts and the application of solar energy for the Iraya Mangyan community in Barangay Baclayan, Mindoro already underway. Every year members of Philippine indigenous communities, namely the Iraya Mangyans and Hanunuo Mangyans as well as the T�Boli from South Cotabato, Mindanao, are invited to perform their local dances, to present their products and to hold workshops teaching weaving techniques or other local crafts at Malasimbo. As part of a committed effort to educate the public about Mindoro�s indigenous people and culture, the Foundation built a life-size Mangyan Village on the Malasimbo Festival Grounds that feature the lifestyle, handicrafts, language, and music of the 7 Mangyan tribes of Mindoro. The Malasimbo Music & Arts Festival is a celebration of all art forms. The Sculpture Garden at Malasimbo is a witness to the festival�s love for the visual arts. The grounds have been blessed by the amazing works of talented contemporary Filipino artists. In three years, more than 30 artists have used the venue as their canvas for their art installations. Whether permanent or degradable, loud or discreet, phantasmagoric or natural, interactive or silent, the works all have a synergy with the mountain, the landscape, the wind, the ocean or the festival�s creative energy. The Malasimbo Visual Artists family is growing, welcoming new faces for 2014. The Sculpture Garden at Malasimbo is definitely a platform to watch out for in the Philippines. Diving, Island Hopping, Trekking, Jet Skiing, and Kayaking are among the many activities that await adventure in Puerto Galera. Its natural beauty and pristine clear water makes it as one of favorite attraction of tourists. Approximately 2 kilometers from White Beach and can be reached by trekking on the riverside through lush jungles. Tukuran River is about 25 kilometers from the town proper. Experience the lush green vegetation while riding in �kangga�. A museum showcasing artifacts and antiques excavated within the municipality. The precious jars highlight Puerto Galera as an important trading port between China, Malay and other Asian continents. Corals and coral reefs are seen or viewed while in a motorboat near Tangalan point, enjoy crazy coloured fish zigzagging through kaleidoscope reefs and corals. Baclayan and Talipanan Mangyan settlement areas, where the native local tribes reside. White sand beaches and attractive coral deposits line the entire coasts of Puerto Galera. Most famous are White Beach, Big and Small Lalaguna, Talipanan, Aninuan, Haligue, Long Beach, Dulangan(Bulabod), Boquete and Villaflor. Located in Sinandigan, the lighthouse offers a closer view of the dive sites located nearby. Located 2,000 ft. above sea level, all inland bays and coves of the town are captivated here. A 9-hole golf course and a clubhouse with spectacular view also awaits. A stunning protected area bursting at the seams with exotic and massive trees of different species. More than 1,000 reptiles and other animals live here. Featuring the stars of the show - king cobras, black mambas, giant snakes, spitting cobras and lizards. Visit local historical sites such as Black Rice and the Cross with two Canyons at Muelle, Poblacion and Garita or Guardhouse at Behiya, Lalaguna this was the guarding point for the entry of pirates and marauders to the coves of Puerto Galera. Full 3 day festival tickets are just �82 with flights currently from just �350 and minimal spending costs once there. What�s not to like? ESCAPE THE GREY AND JUMP ON BOARD FOR A MUSIC ADVENTURE OF A LIFETIME!